possibly use fewer curettes. The clear protective cap allows the user to adjust the cutting loop to the desired diameter. The adjustable loop allows you to keep fewer sizes in stock. The handle incorporates a measuring guide to help determine wound dimensions and the extent of undermining or tunneling. 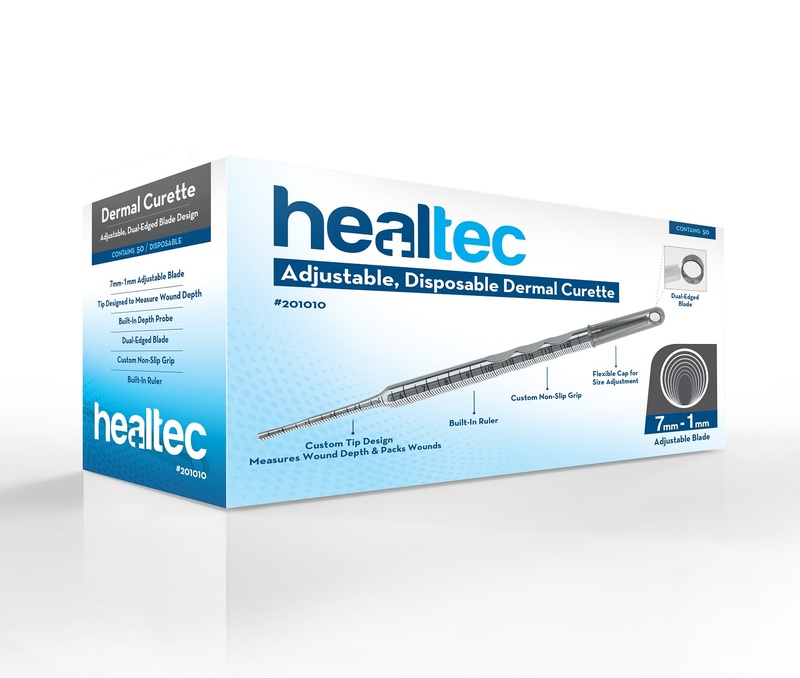 Adjustable curette size allows for reduced storage and inventory demands. 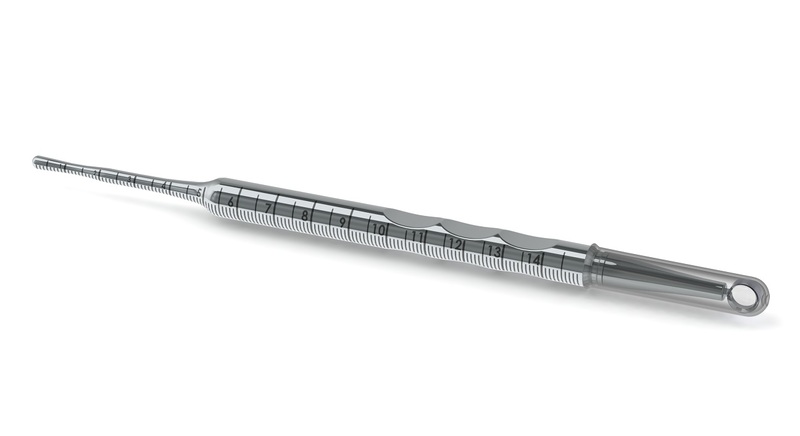 Double-edged (2-in-1) design helps to reduce the number of curettes used per procedure. Contoured grip helps to maintain grip and to minimize inadvertent turning of curette head. Measuring guide on handle may be used to facilitate wound documentation.